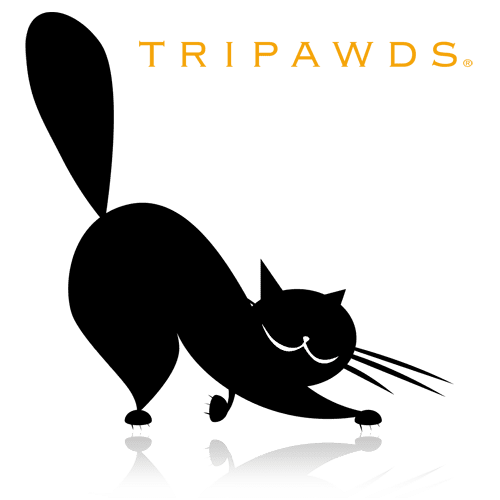 With a growing number of Tripawds Bloggers sharing stories about amazing feline cancer survivors and other amputee cats, we are proud to announce new three legged cat designs now available on t-shirts, apparel and other gifts in the Tripawds Gift Shop. From the first time Jerry wrote about Nemo, and Henry the Tripawd Cat to our first feline Tripawds blog—Fang’s Story—we have always declared this community is not just for cancer dogs. We now have a three legged cat blogger living with a one-eyed dog. Little Man is loving life on three legs, Freya has been sharing her three legged cat journey, and Henry is posting pictures after his feline cancer amputation. 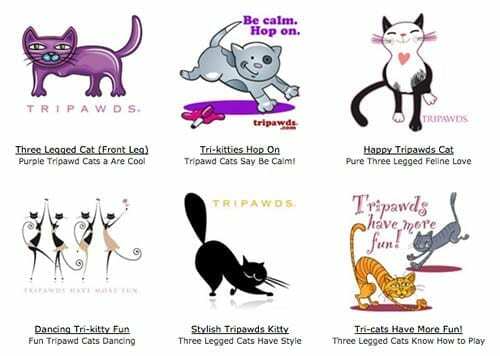 Above all, we owe the inspiration for all these fun feline tripawd designs to one member: Jilly Cat. 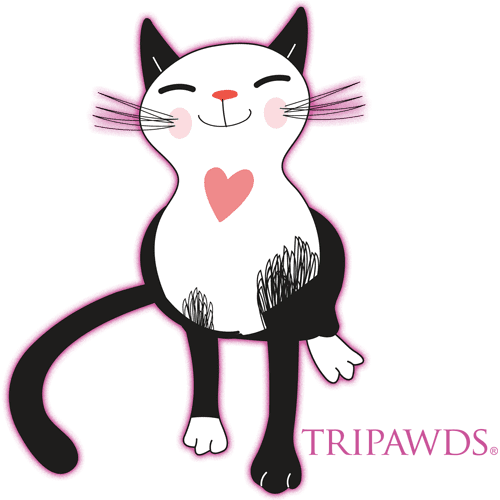 Jill’s mom has been documenting her feline cancer amputation recovery and treatment on her blog and in the forums. She can always be found welcoming new members in the chat room and started the Be Calm, Hop On craze. 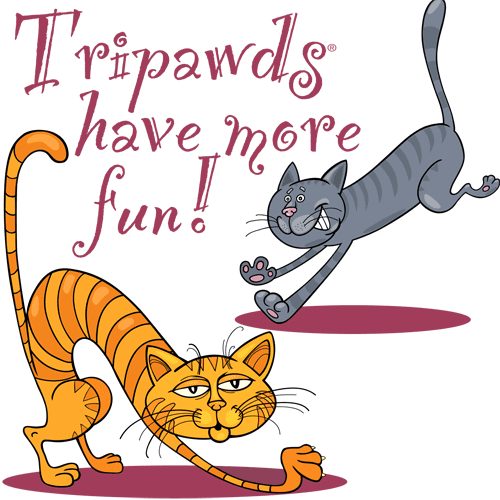 Jill and other tri-kitty community members are helping us prove that all Tripawds do have more fun! 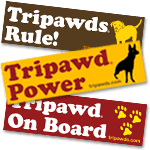 Visit the the Tripawds Gift Shop to get all these three legged cat designs and more on everything from mugs and mousepads to iPhone cases and handbags! 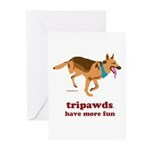 We’ve even updated the selection of Tripawds greeting cards and notecards to include many of the new cat designs. Enjoy! Love them! Some even remind me of Jill! I love all of these and I can’t wait to get some gear! I will wear it with pride!!! 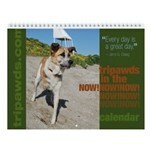 Jilly will be so excited when I show her! Ohhhhhh yeah! Great tribute to the kitties!! Love ’em all!! 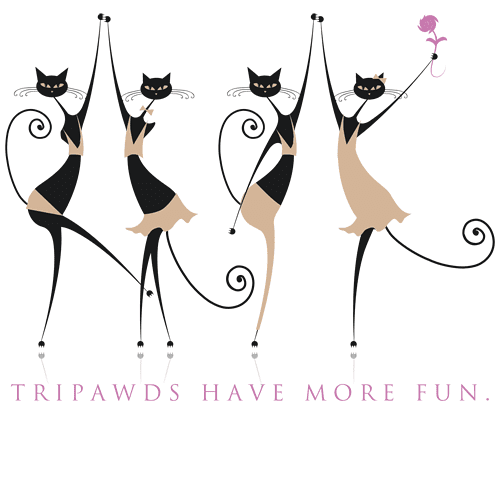 Keep on hoppimg on kitties! !